As you will soon discover, Long Street is aptly named. Running from the Cape Town CBD into the City Bowl, this road is one of the city’s most popular attractions. This is where you will find a veritable treasure chest of quirky shops, bookstores, art galleries, side walk cafes, bustling nightclubs, rowdy bars, street vendors and people from just about every culture under the sun. With its business today, it’s hard to believe that up until the 1990s or so, Long Street was a no-man’s area – rife in gangs, urban decay and undeveloped buildings. Fast forward a few decades later, and an urban renewal began to change the face of this street for good. Whether you take a stroll down Long during the day, or head out for a night out to remember, we have put together a list of must-sees along the way. WAG – 301 Long Street. Gorgeous dresses in a range of colours and styles are what you will find at WAG. Ideal for finding something fabulous to wear on your night out on the town. Me Me Me – 117A Long Street. Wide range of locally designed clothing, as well as shoes, jewellery, accessories and other beautiful things. Church Street Antique Market – corner Church and Long Streets. Discover a host of vintage finds, from necklaces to special keepsakes, paintings, décor and more. Other notable mentions for shopping include the African Music Store, Second Time Around, Merchants on Long, A-List and many other shops you will discover on your way. Royale Eatery – 273 Long Street. Pop in for one of their famous burgers, which have sweet potato fries on the side. Laid-back vibe with seating on the street or inside the retro themed eatery. RCaffe – 138 Long Street. Great coffee, excellent lunch specials, a good bakery (try their famous croissants!) and relaxed yet classy vibe. Fork – 84 Long Street. Tapas done the South African way, with scrumptious mouthfuls of goodness to be enjoyed. Sit outside or stay cool inside as you savour current menu specials. One of the best things about Long Street dining is that you do not need to worry too much about making bookings. The majority of eateries are open for pop-in visits, which means choosing a place that looks good, and seeing if they have any free tables. 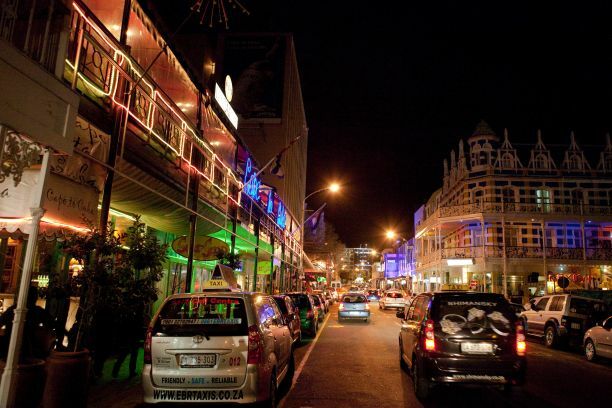 Once the sun has set, another side to Long Street emerges… the pulsating nightlife. Whatever your taste in music, scene and fun may be, you are sure to find it on this busy street. Dubliner – 251 Long Street. This is where you will find visitors from all corners of the globe mingling with locals, with live music, rowdy crowds and a wide range of beers. Fiction – 226 Long Street. From electro to drum ‘n bass, Jungle and other good tunes, Fiction is where you can dance the night away. Doors open around 10pm usually, and stay open til the early hours. 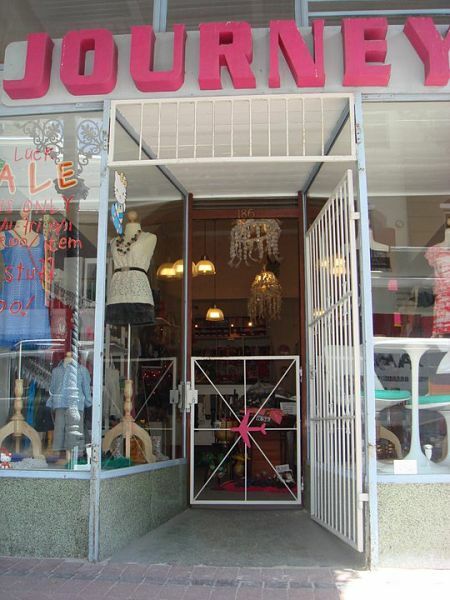 Joburg – 218 Long Street. 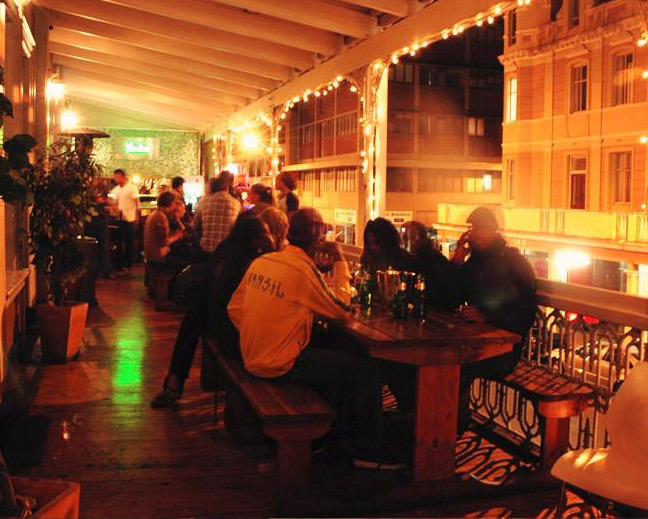 Where else can you find a bar called Joburg and a dance floor called Pretoria? Other than Long, we just don’t know. The best way to get around Long is making use of the many cabs found along the street. Walking from say Dubliner to Neighbourhood can easily be done, but other places such as Zula are a bit of a way further. Also important to note that it is never a good idea to walk alone – stay in groups, and stay safe. Banking – there is are ATMs in the 210 on Long mall, at Clay Oven, and at the FNB branch further onwards heading towards the Foreshore side. Swimming – the Long Street Baths is a safe, well-kept indoor swimming pool – cover charge is small, and there is a decent sized pool and Turkish baths in the building. Supermarkets – there are no large supermarkets on Long – there are however many small grocery shops such as Mountain View Café and the Spaza Shop (near Dubliners) that sell basics such as cool drinks, snacks, airtime and cigarettes. Now that you have a better idea of what you will find along Long Street in Cape Town, you can start exploring at your own pace… taking in all of the sights along the way.